The Book-in-Hand Roadshow sessions are designed to familiarize writers with the world of self-publishing. You’ll hear industry insiders share real experiences, provide valuable resources, and discuss eBooks and the print-on-demand (POD) process. Established in 2010, The Book-in-Hand Roadshow is now scheduling its THIRD TOUR. Started in Northern California, it expanded to the island of Kauai, and future plans include stops in So. & No. Calif., Texas, Missouri, the Northwest, and Oahu. Let’s talk about bringing the BIH Roadshow to your town! Speakers are different in every session. Past speakers have included local experts in the fields of cover design, interior graphics, photography, ghost writing, editing, magazine journalism, newspapers, eBooks, many award-winners, and a New York Times Best Selling author. NEW IN 2013 … Every attendee will receive a copy of the official print companion to the BIH Roadshow. 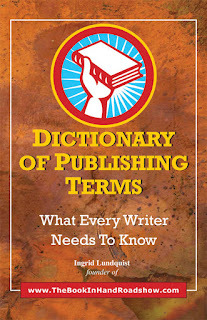 It’s a workbook, guide, and dictionary all in one. 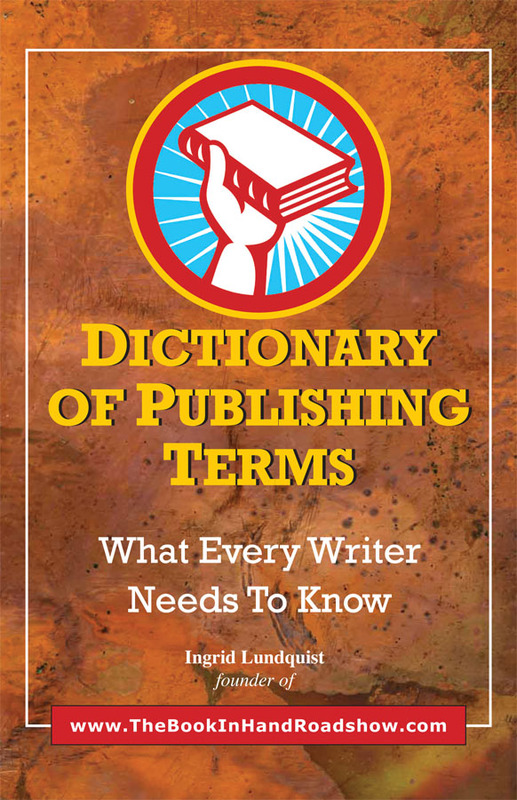 This dictionary uses simple terms to explain the words most often used in publishing and it’s organized as you would find the topics in a real book. Just start at the front cover and there’s the information where you need it, when you need it.